It's Christmas, and while we'll have one more week to find out exactly where the Eagles will be selecting in the 2017 NFL Draft, we know already that the gift pick they acquired in a trade from the Minnesota Vikings for Sam Bradford won't be worse than 18th overall. 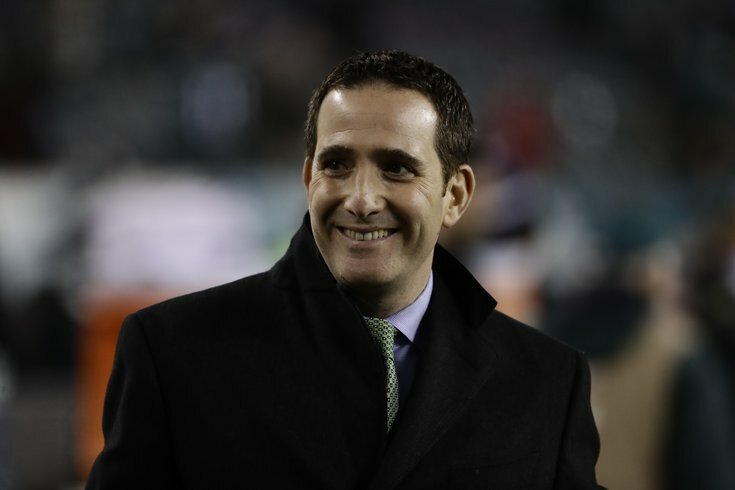 The Eagles sent away their own 2017 first-round pick as part of a deal to trade up with the Cleveland Browns in the 2016 NFL Draft to select Carson Wentz. At the start of the season, the Vikings looked poised to return to the playoffs after finishing 11-5 a season ago. However, after quarterback Teddy Bridgewater suffered a gruesome injury during practice and was lost for the year, the Vikings tried to salvage their season by trading for Bradford. The trade paid early dividends for the Vikings, as they were the NFL's last remaining unbeaten team in 2016 when they started 5-0. But it began to unravel from there. The Eagles handed the Vikings their first loss Week 7 when the Birds battered Bradford for four quarters. Including that loss, the Vikings went 2-8 down the stretch after their 5-0 start, and are now mathematically eliminated from playoff contention. If the season ended today, the Vikings' pick would be 14th overall. It can rise as high as ninth overall. First and foremost, for the Eagles' pick to rise higher than 14th overall, the Vikings would have to lose at home to the woeful 3-12 Chicago Bears. The Bears beat the Vikings 20-10 in a matchup earlier this year, but at the present time they are being quarterbacked by former Eagles bench warmer Matt Barkley, who threw five interceptions against the Redskins on Christmas Eve. As you can see, that's not exactly the most difficult set of opponents. To note, while the Vikings would have the same record as the Broncos with a Vikings win and a Broncos loss Week 17, the Vikings would have the higher pick, as the Broncos' strength of schedule is far higher. Here are 10 players who might make sense with the Eagles' first-round pick.